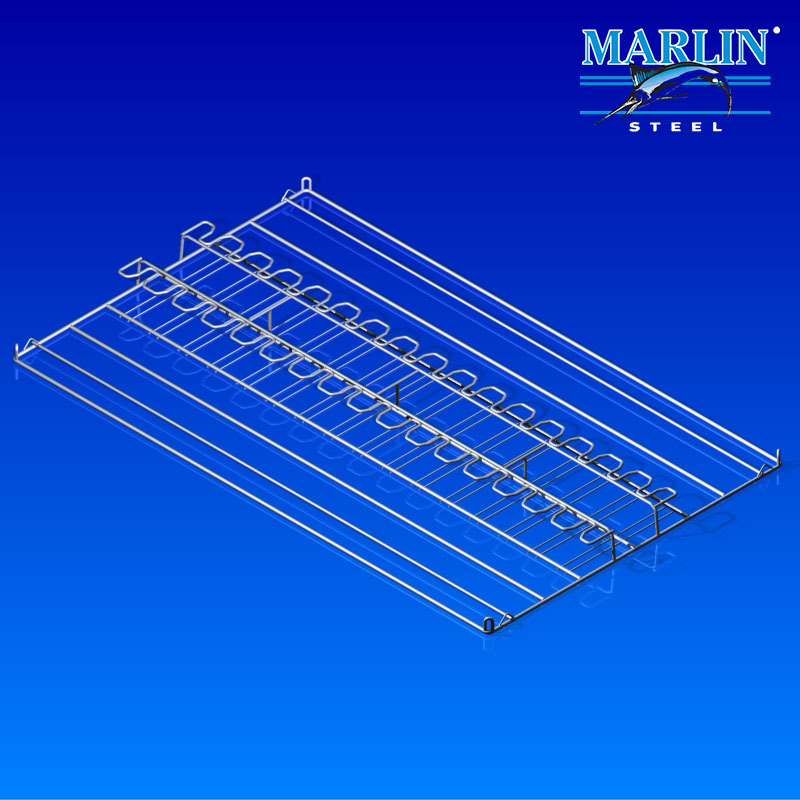 This particular wire tray (#738007) has the main function of steam sterilization of dialyzers. Steam sterilization has long been used in hospitals as well as in the pharmaceutical, aseptic processing, and food industries. Such contaminants are usually accrued during the manufacturing process. Sterilization agents that kill all microorganisms are not without complications and limitations. This wire tray can hold over 75 lbs, can handle up to 250F degrees and has 10 trays. The rack/basket can glide along a chain conveyor and had stacking capabilities. The wire basket has a material choice of 316 L SS and is electo polished. Electropolishing is an electrochemical process that aids in removing polish, passivate, and deburr metal parts. These are the trays that will stack on the 788005 wire rack.